The HP 40 Cyan Inkjet Print Cartridge is ideal for business or home users who want professional-quality color copies and printouts. 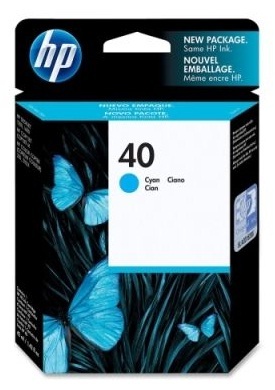 The HP 40 Cyan Cartridge produces very cost-effective, fast color output. HP engineering ensures output that is always clear, always sharp on a wide range of bond and copier papers.